You can view your end-user's draft expenses to gain visibility over any expenses that need to be submitted. 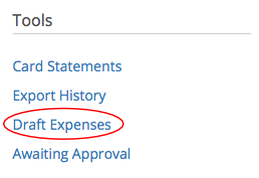 You can view your user's draft expenses in the Finance area. Navigate to the Tools area and click Draft Expenses. 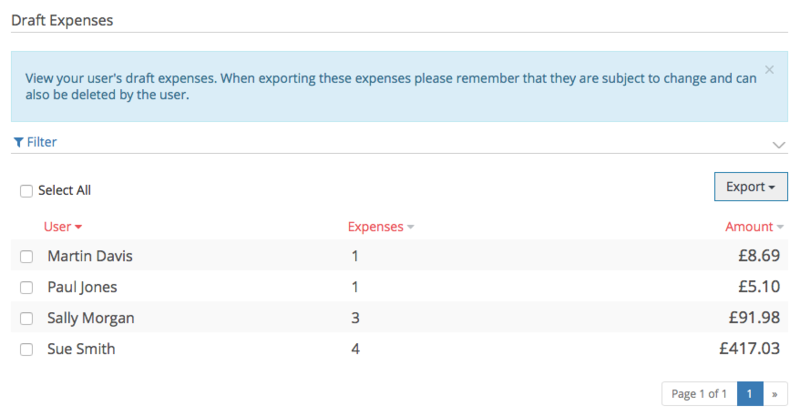 You can filter down the expenses by clicking the Filter button. Finance users can delete the expenses. Please note that the user will be notified. You can also download the expenses to CSV or PDF by clicking the Export button and choosing the file format.